We will skin and process your prized wild game into Smoked Links, Pan Sausage, Summer Sausage, Jalapeño Cheddar Cheese Sausage, Mid Chorizo, Tenderized Steaks,or Ground and Chili Meat.We then will Vacuum Seal or Freezer Wrap your game at no additional cost. 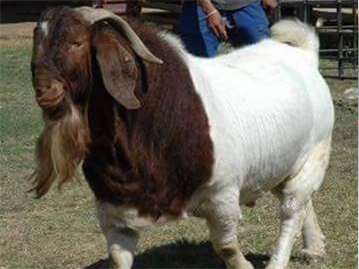 We at Cabritos Garza offer certified Halal Islamic methods of slaughtering services to the community providing the healthiest and freshest meats available. Cabritos Garza also provides Delivery services at special wholesale pricing to other Halal Meat Markets and to the general public. Our in-house Taqueria is open from Thursday through Sunday for fresh and delicious Mexican dishes like Barbacoa, Menudo, Chicharrones, Carnitas, Birria, Cabrito en Salas, Puerco en Salas, Morcilla, Grilled Fajitas. Foods are sold by the Taco, By the Plate or By the Pound. Fresh and delicious Whole Head Barbacoa weekends only. Cabritos Garza was started by Cayetano Garza over 40 years as a backyard business. Soon within time Cayetano Garza was given the opportunity to purchase Theiss Sausage and Meat Company which Cabritos Garza now stands. Cabritos Garza Meat Processing and Taqueria located in Humble, Texas in over 10 acres and is fully licensed state of the art Texas State Inspected slaughterhouse processing plant. The Garza family is committed to providing high quality meats, affordable prices and outstanding customer satisfaction. Cabritos Garza only purchases the highest quality Cattle, Pigs, Goats, Lamb, Organic Yard Chickens from local farmers and auctions. Come in or take out freshly made Barbacoa from our in-house Taqueria opened Thursday through Sunday.